Poet Richard Morris and his daughter, the artist and designer Hatty Morris, joined forces to produce an illustrated poetic re-telling of the story of Wagner's Ring Cycle (see my review). 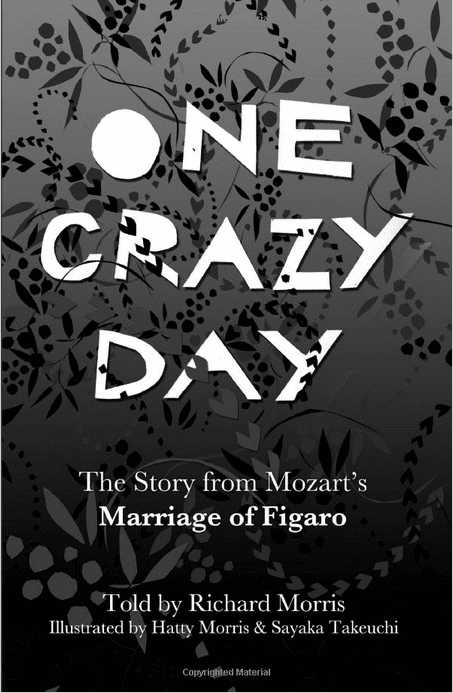 Now they have followed this up with another, this time produced One Crazy Day: the story of Mozart's The Marriage of Figaro. Richard Morris's verses telling the story of Mozart's opera are complemented with illustrations by Hatty Morris and Sayaka Takeuchi. Richard Morris in his introduction sketches in the historical background to the opera. But as the opera is based on a Beaumarchais play, he also adds the very necessary pre-history from Beaumarchais' earlier play The Barber of Seville. He has written the poetry in terza rima which uses three-line stanza's with complex chains of rhymes. This gives the verse an onward, flowing quality as the middle line of stanza rhymes with the outer two lines of the next stanza. It also successfully avoids a rum-ti-tum quality in the poetry which would not sit well with the plot. January at the Barbican includes the BBC Symphony Orchestra in Colin Matthews, Shostakovich, Martinu and Max Richter. 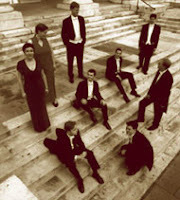 Visitors include Magdalena Kozena (with Les Violons du Roi) and Andreas Scholl (with the Academy of Ancient Music). 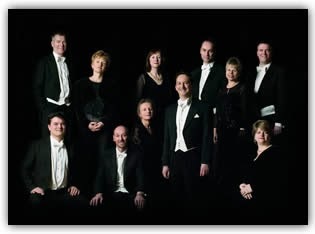 The London Symphony Orchestra (LSO) and the Sixteen give you a chance to hear oratorios by both Handel and Haydn. And Sir John Eliot Gardiner joins the LSO for Mendelssohn and Schumann. The BBC Symphony Orchestra continue their season with their new chief conductor Sakari Oramo performing Beethoven's Symphony No. 3 (Eroica), a new Colin Matthews work and Schumann's wonderful Konzertsuck for four horns and orchestra (8 January). Semyon Bychkov conducts them in Shostakovich's Symphony no. 7 (Leningrad) and Martinu's Concerto for two pianos with Katia and Marielle Labeque (16 January). Perhaps the most intriguing event of January is the concert on 24 January when the BBC Symphony Orchestra, with Max Richter, conducted by Andre de Ridder perform Max Richter's Memoryhouse, which was originally an experimental album of "documentary music" combining ambient sounds, voices, and poetry readings. Richter never originally envisaged the work being performed live. 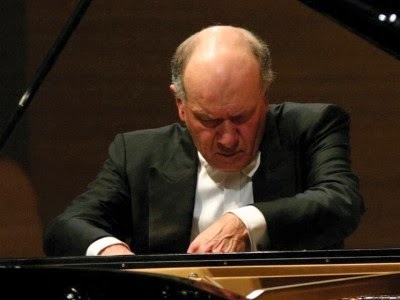 January sees John Lill continuing his series of recitals at the Cadogan Hall performing the complete Beethoven piano sonatas. On Jan 13 Lill performs numbers 9, 16 and 29 (Hammerklavier) and on 27 January her performs numbers 2, 8 (Pathetique), 24 (A Therese) and 30. The series culminates in February with a pair of recitals as part of Lill's 70th birthday celebrations. The Academy of St Martin in the Fields returns for the second of their performance at Cadogan Hall on 22 January under their artistic director Joshua Bell. Bell with be directing Beethoven's Symphony no. 3 (Eroica) and performing Bach's Violin concerto in E major and Bach's Concerto for Two Violins (in which he will be joined by Harvey de Souza). On 25 January the Pink Singers invite you to a night at the movies. Europe’s longest-running LGBT community choir will be joined by the London Gay Big Band for an evening of songs from the movies. Historically informed performance - historic voices? The period performance movement has, by and large, been an instrumental led one; the rediscovery of period performance styles by applying original instrumental pedagogical techniques to performance. Where solo singers have been involved in similar activities, this has been generally in the realms of Renaissance and Baroque music. In later music, singers seem to have tended to develop techniques which marry well with the instrumental techniques of their compatriots. 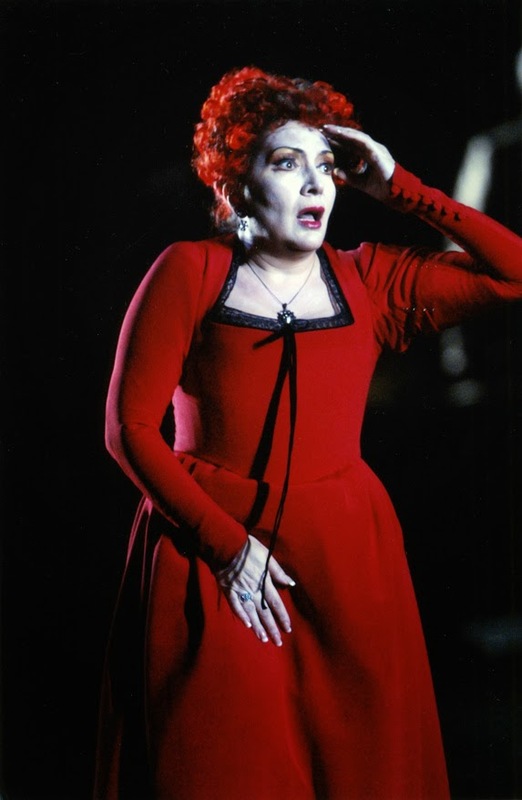 There are few signs of singers, particularly opera singers, submersing themselves in 19th century pedagogical works; developing and experimenting with techniques. There are a few areas where early and mid 19th century Italian technique differed radically from that used today: the controlled (rather than indiscriminate) use of vibrato, the expressive use of portamento, the expectation that the singers would bring not just ornamentation but a degree of re-composition to the vocal line and a general freedom from the tyranny of the written note. 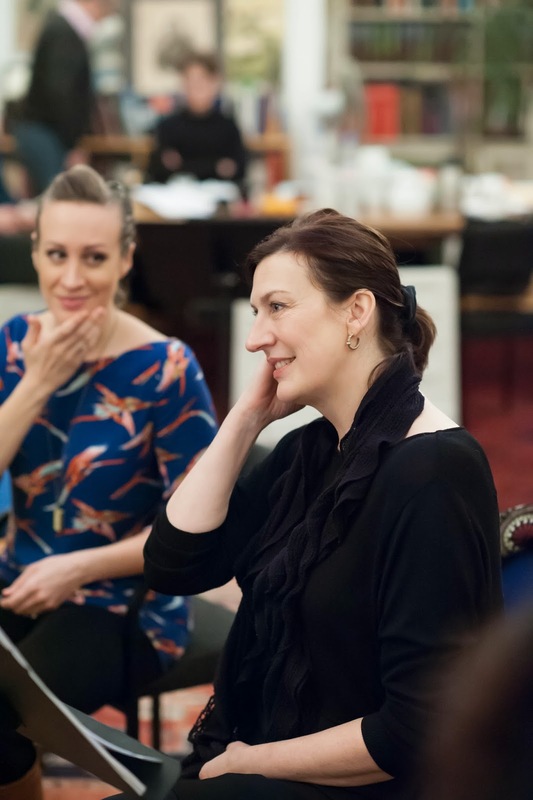 The Wagner and Verdi bicentenary has thrown up a small number of experiments in historically informed practice which have been revealing for the light thrown on Wagner's orchestrations. But, rather frustratingly, no-one seems to have been inclined to take this further and experiment with what types of voices Wagner might have actually heard. 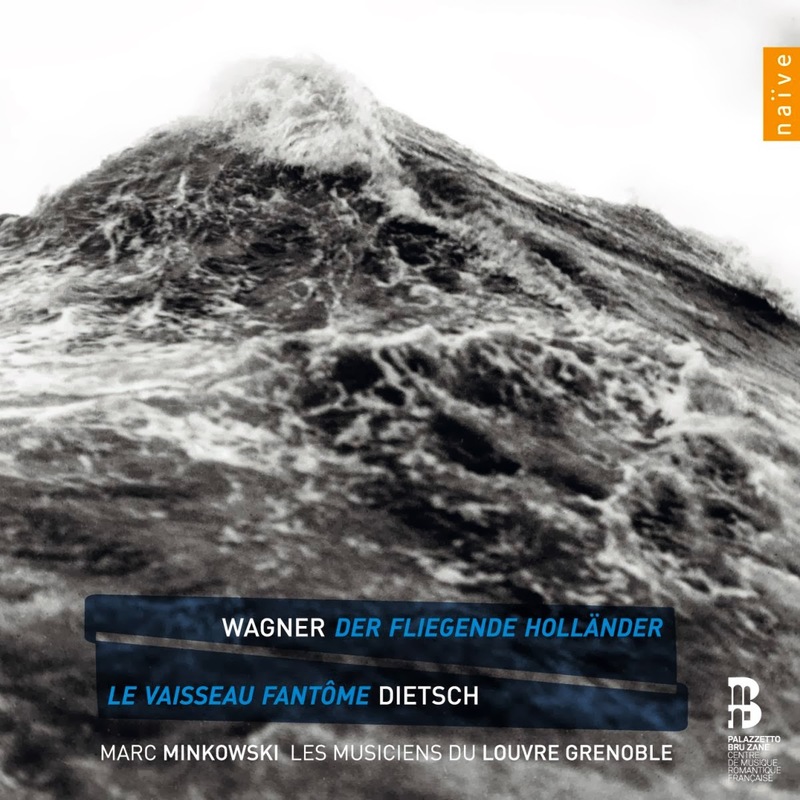 This was most notable in the enterprising recording of Wagner's original version of The Flying Dutchman by Marc Minkowski and Les Musiciens du Louvre Grenoble (see my review) where Minkowski cast as his Dutchman a singer known for his performances of the work in the modern opera house. Vocally this performance had its feet firmly in the 21st century. 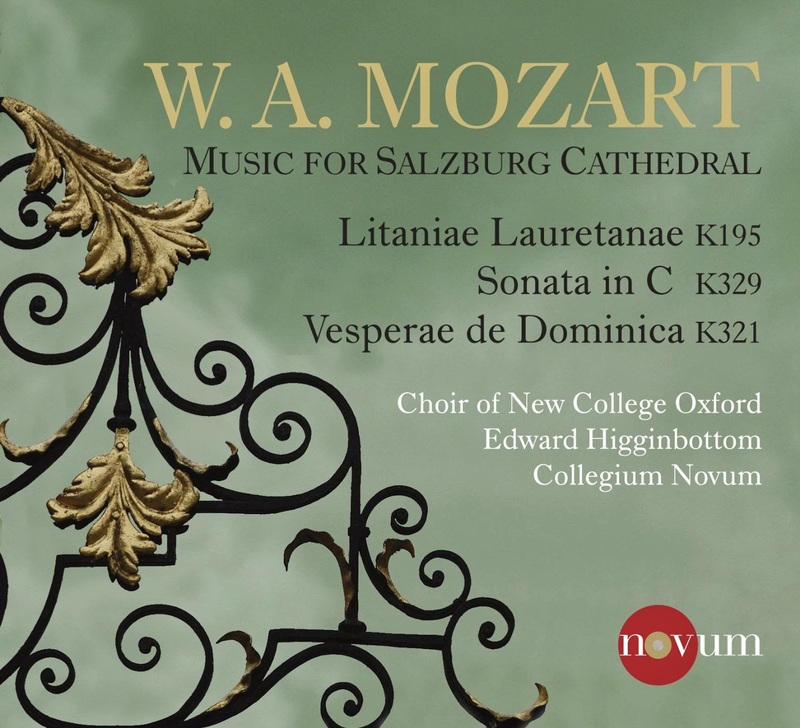 Having given us a superb disc of sacred music by Marc-Antoine Charpentier for their previous disc, Edward Higginbottom and the choir of New College Oxford have turned their attention to Mozart's sacred music for Salzburg Cathedral from the 1770's. 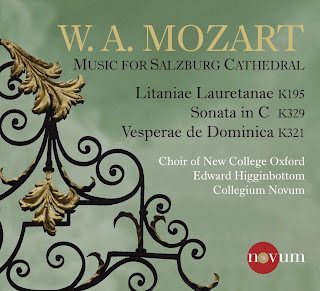 Accompanied by the period instruments of Collegium Novum, Higginbottom and his forces perform Mozart's Litaniae Lauretanae K195, Sonata in C K329 and Vesperae de Dominica K321, again on the choir's own label Novum. The soloists are taken from the choir and anyone who has followed the choir's previous recordings will be heartened to see treble Inigo Jones's name against the soprano solos. Jones is joined by boy alto Michael Alchin, tenor Guy Cutting and bass Patrick Edmond. Taking the soloists from the choir is simply one of a number of factors which indicate the amount of care and thought which have gone into this recording. The use of a boy alto, and having a mixture of boy altos and counter-tenors in the choir, means that the choral sound is closer to that of Mozart's day. The use of a boy for the soprano solos reflects that fact that many of Mozart's pieces were written for every day or only semi-state occasions. It was only when the Archbishop himself officiated that castrati from the court could be expected to join in. In a note at the end of the CD booklet Higginbottom talks of the layout of the forces and how they, to a certain extent, duplicate the way the forces were laid out in Salzburg Cathedral. One area where Higginbottom is innovative is in omitting trombones. It was common at this period for trombones to double the three lower choral parts, but quite rightly Higginbottom views this as a way of keeping the choir in order in a large acoustic rather then anything more particular. Omitting them on this recording means that the choral texture has a finer grained transparency than it otherwise would. And with a choir as good as that of New College, you hardly need trombones to keep them up to the mark! 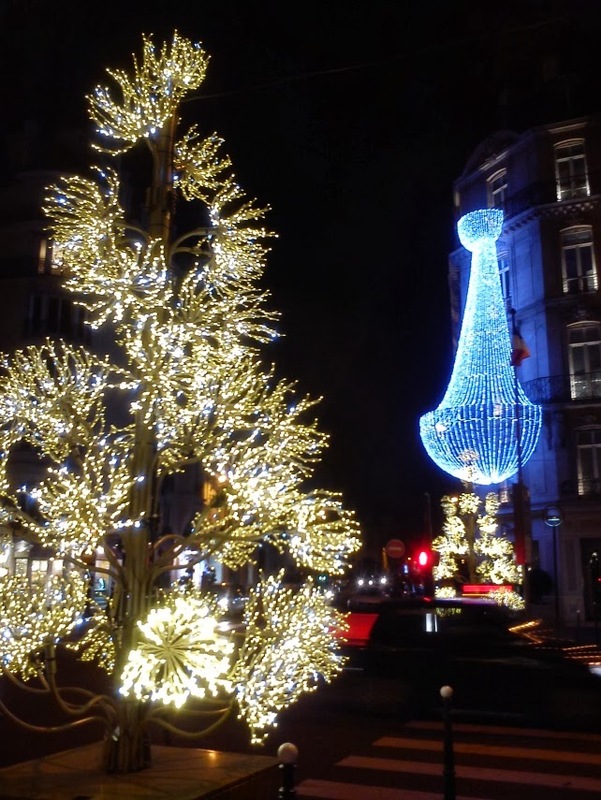 Fed up of tinsel and want to forget Christmas shopping or the sales rush? If you need a good solid belly laugh to get you through the post Christmas slump, and you like you humour dry, pithy, satirical, smart, and more than a little bit rude, then Fascinating Aïda’ ‘Charm Offensive’ is for you. I went along just before Christmas Eve to see them at the Queen Elizabeth Hall on the South Bank. Having only seen them on YouTube before (Cheap Flights) I was excited to see them - and they did not disappoint. Fascinating Aïda are Dillie Keane, Adèle Anderson, and Liza Pulman. Dillie was a founding member of the group in 1983, joined by Adèle in 1984, so setting up a writing partnership which has lasted thirty years. Having been with them for ten years, Liza is the newbie of the group. All three have the strong musical and acting background, which along with their obvious talent and enthusiasm, make for a great show. In 1973, fresh out of university I joined the local choral society in the Scottish town in which I was working. They did a traditional repertoire including Elgar's Music Makers and Handel's Messiah which was the first work I sang with them. The conductor was a mature gentleman whose name I have forgotten. He talked about the period in the 50's when he was a young conductor. Conducting his first Messiah he was accused of knocking 45 minutes of the running time, though his speed would not seem outrageous today. 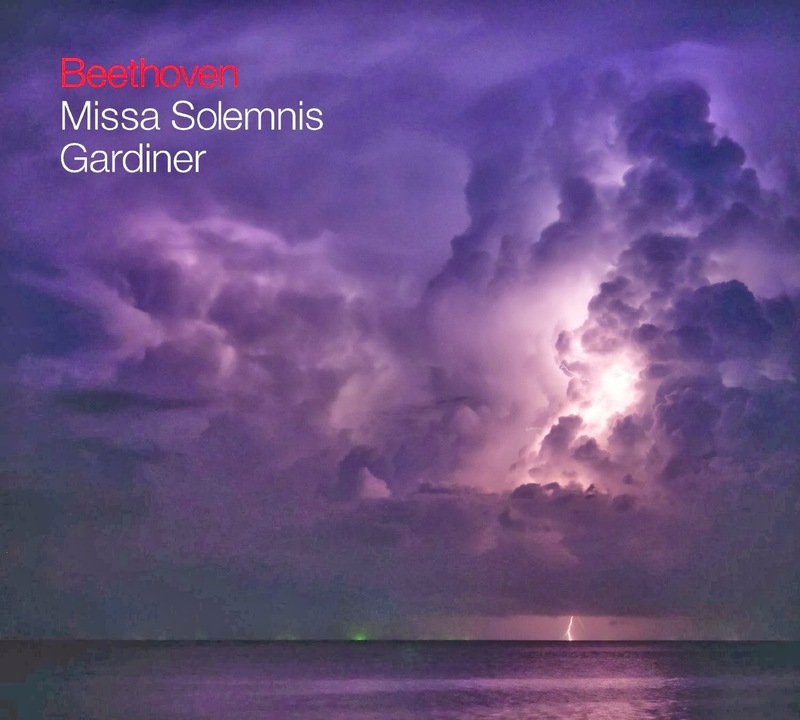 The same gentleman also opined that the running time for Messiah could be gauged from the speed at which the chorus could sing the fast semi-quaver passages. Nowadays it is difficult to remember that this style of performance was once the norm. Whilst modern choral societies sing Bach and Handel with a moderate stateliness, few I would imagine give it the massiveness which was common in pre-war Britain. This applied to soloists as much as to chorus. 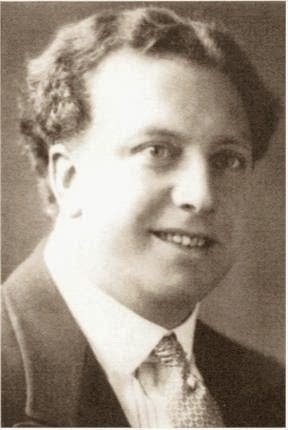 The distinguished Wagnerian tenor, Walter Widdop had a parallel career in oratorio. 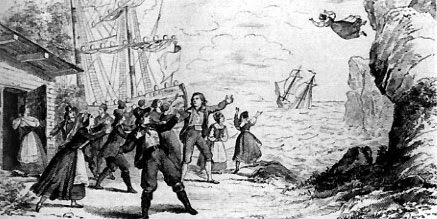 English oratorio was a thriving business, in an era when few English singers had international careers; most sang oratorio almost exclusively. The soprano Isobel Baillie made very few operatic appearances, her status derived from her oratorio and recital appearances. There is a story told about Walter Widdop, almost certainly apocryphal, that after a performance of Wagner at Covent Garden (Widdop sang both Lohengrin and Siegmund there), someone met him on a train travelling North. Widdop was complimented on his previous night's performance, but brushed this off saying he was going home to sing some proper music, Handel. 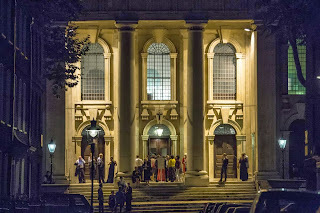 As part of the Christmas Festival at St John's Smith Square, the choir of Trinity College, Cambridge, and the Orchestra of the Age of Enlightenment, conductor Stephen Layton, performed parts one, two, three and six of Bach's Christmas Oratorio, with soloists Katherine Watson, Iestyn Davies, James Gilchrist and Neal Davies. St John's was filled with a capacity audience. Bach wrote the work as a coherent entity, even though it was performed spread over six days during the Octave of the Nativity. Rather too long for a performance on a single evening, the solution of performing the first three and final parts worked well, giving us the bulk of the story and some of the finest music. The choir has recently recorded the work with Stephen Layton, the OAE and a similar line up of soloists. At St John's the choir rather admirably performed from memory. There were some 40 singers and 28 instrumentalists, there were probably rather more performers than Bach would have anticipated. In the lively opening chorus, Jauchzet, frohlocket! there was a nice balance between chorus and orchestra. Though I have to admit that I have always found Bach's orchestration here, with its combination of flutes and trumpets, rather a triumph of expectation over experience. David Bednall's Welcome all Wonders is a Christmas cantata for choir, organ and solo trumpet, relaying the Christmas story through a varied selection of texts both sacred and secular. The cantata was commissioned by the Queen's College, Oxford in 2011 and here recorded by the choir of the Queen's College, Oxford, director Owen Rees, trumpeter Simon Desbruslais and organists Olivia Clarke and Paul Manley. In his programme note in the Cd booklet, Bednall talks about how the work was designed to be accessible, but not without challenges, and useful. So that each movement is complete in itself and can stand alone as an anthem. Bednall's choice of texts is imaginatively varied, with texts by Alexander Pope, Dora Greenwell (1821 - 1882), Mary Elizabeth Coleridge (1861 - 1902), Isaac Watts (1674 - 1748), John Milton (1608 - 1674), Henry Wadsworth Longfellow (1807 - 1883), Prudentius, Christina Rosetti (1830 - 1894), as well as biblical texts from liturgies both Roman Catholic and Orthodox. Because of the well known nature of the story, Bednall has chosen not to knit these diverse elements together with a recitative. There is not Evangelist figure, no narration. This is, I think, a mistake. No matter how well known the story the narration would help to bind the work together. As it is, there is a danger that it turns into simply a sequence of well-made anthems. 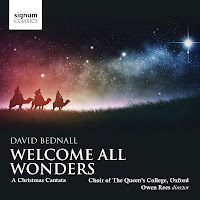 Bednall's musical style here is relatively conservative, Howells and RVW seem to be models, but he also folds in chant as well as moments of harmonic spice. Overall the music is approachable and personable. As the culmination of King's Place's year long exploration of Bach's music, Bach Unwrapped, there was a performance Bach's Mass in B Minor on Saturday 21 December 2013. The events of Bach Unwrapped not only explored Bach's music but different styles of performance. The Mass in B Minor was performed by the Aurora Orchestra (performing on modern instruments) and the choir of Clare College, Cambridge (director Graham Ross), conducted by Nicholas Collon with soloists Malin Christensson, Jennifer Johnson, William Towers, Joshua Ellicott and Benedict Nelson. Though scholars postulate performances of Bach's Missa (the Kyrie and Gloria of the mass) and later of extracts from the full mass, we have no records and can only surmise the sorts of forces which Bach would have used. Joshua Rifkin has argued persuasively for performance one singer to a part, but this option does not appeal to everyone whilst being extraordinary taxing on the performers. Our modern tradition of performance of the work is linked to the baroque oratorio revival, so that the mass is performed with the sort of forces used in Handel's oratorios. Often on the basis of what it is presumed Bach would have used, if he had had the resources. Whatever the forces used, for me there is an important moment in any performance of the mass which indicates whether the rationale used has been successful. In the first Kyrie, after the opening choral statement, there is a long instrumental fugue, to which the voices join. At this point it is important that the voices and instruments are equals, that the instrumentalists do not simply accompany the voices. Bach's writing here is multi-part, a texture mixing voices and instrument. At Kings Place the stage was filled with the 29 instrumentalists of the Aurora Orchestra with the 32 singers from Clare College Choir placed on the balcony. Whether it was the relative numbers of the placing of the choir, I am not sure, but the choir had primacy; when singing they were dominant and the performance failed my key test. 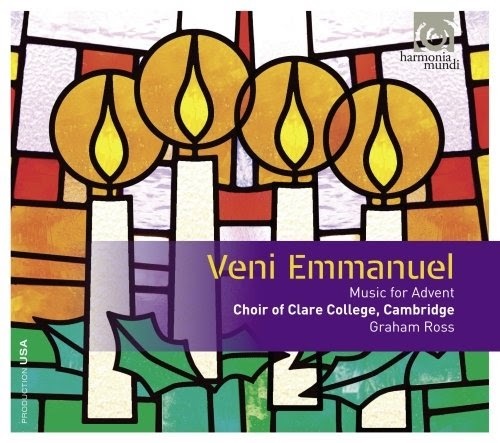 This disc of music for Advent, Veni Emmanuel, from Graham Ross and the choir of Clare College, Cambridge, is centred on the great O Anthems,with the plainchant interspersed with motets whose themes relate to the text of the anthems. 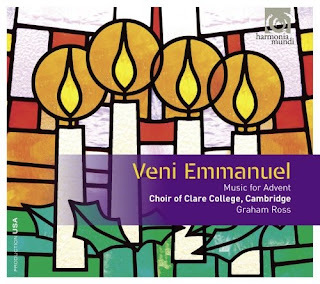 The result is a rather striking sequence for Advent, with music by William Byrd, Herbert Howells, Roderick Williams, Michael Praetorius, John Sheppard, John Rutter, J.S. Bach, Felix Mendelssohn, Peter Warlock, John Tavener and Sergei Rachmaninov. They open with the plainchant hymn Veni, veni Emmanuel whose words paraphrase the texts of the O Antiphons. The chant is sung with firm flexibility by the whole choir. They follow this with a vigorous and flowing account of William Byrd's Vigilate from his 1589 Cantiones Sacrae, making quite a big sound, very much a choral performance, but with a great rhythmic feel. The result is rather thrilling. The women then give a supple performance of the first O Antiphon, O Sapientia. The sentiments in the antiphon are echoed in Herbert Howells' anthem The fear of the Lord, written for Clare College in 1976, when John Rutter was the Director of Music. It is a big piece, starting with a striking organ introduction. The choir brings out Howells' colourful harmonies, the rich texture being giving plenty of spicy organ colour. 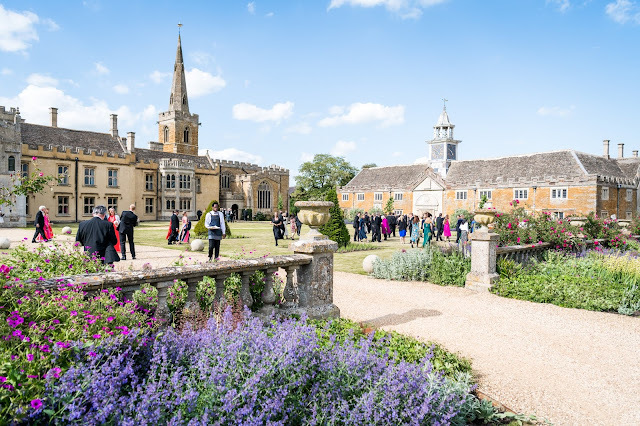 There are still two weeks to go to enter our fabulous competition to win a champagne evening with Divas and Scholars at one of their History of Opera evenings, with a choice of subjects from six evenings on the history of opera with a variety of expert lecturers and fabulous singers (with a glass of champagne!). The final evening will be a lecture/recital from Nelly Miricioiu. Further information from our competition page. 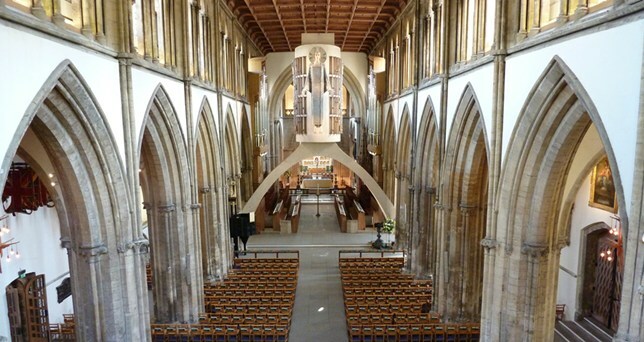 Just five days before Christmas, the Dean and Chapter of Llandaff Cathedral in Wales plan to make all the adult members of the choir redundant. The action is in support of the Cathedral's deficit and ignores the campaign of fund-raising by members of the Choir. The Cathedral Choir, which has appeared twice on the BBC’s Songs of Praise this year, is one of the last cathedral choirs in Wales to employ professional singers. This time last year they launched a recording, Majestas, on their own label. Further information from the ISM website, and there is a petition in support of the choir at http://savellandaffchoir.weebly.com/. 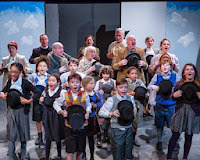 ‘Goodnight Mr Tom’ by the Tower Theatre Company at the Bridewell theatre is based on the book of the same name by Michelle Magorian (1947-). ‘Goodnight Mr Tom’ was her first novel, written as part of a creative writing course. 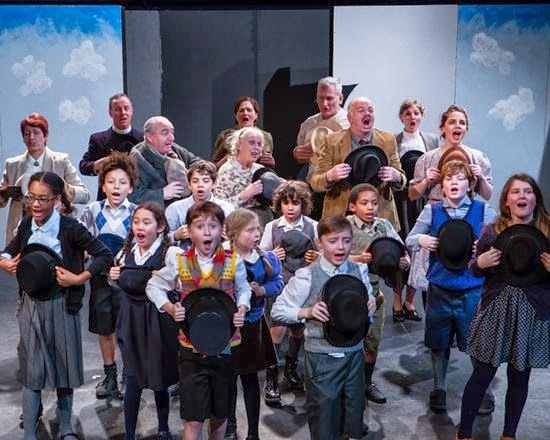 It was published in 1981 and won the 1982 Guardian Prize for British children's books and has since been converted into a play, a film (starring John Thaw), and twice as a musical. This version was has music by Gary Carpenter (a local boy - born 1951 in Hackney, London). 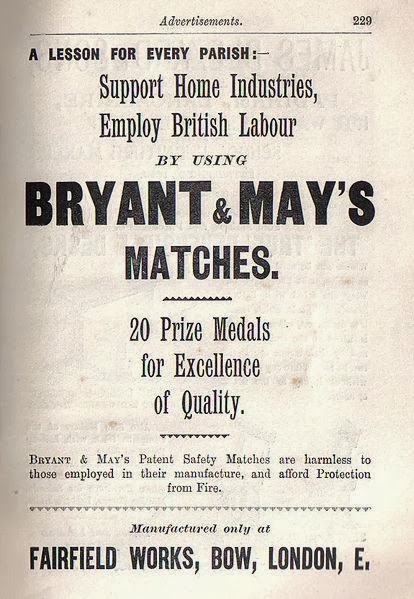 The story follows the life of a repressed and battered boy (William Beech) evacuated into the country and billeted with a reluctant Mr Thomas Oakley. Taken in hand by an irrepressible fellow evacuee (Zacharias Wrench – a bit of a mouthful), William finds friends and a talent for drawing. But just as he begins to come out of his shell, and Mr Tom finds his own reclusive heart coming alive, William’s mother sends for him. Back in London we see just how harrowing the abuse of Will by his deranged mother is, and the plot continues to get darker. David Hill, one of the country's foremost choral conductors, has probably conducted more performances of Messiah than he cares to remember but this certainly did not show. He is very involved and involving as a conductor, clearly relishing and enjoying the music and conveying this to his performers. Being so close to the stage meant that we were able to see how finely tuned his conducting was, the remarkable detail of his instructions and clear enthusiasm. He was rewarded with a performance of remarkable consistency, with all four of the soloists and chorus having a strong commitment to the text. 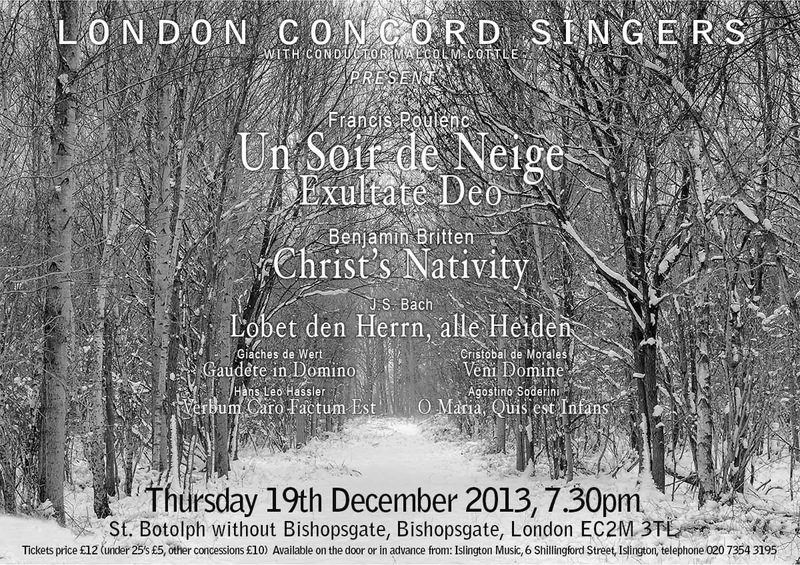 Whilst Messiah does not have named characters, it is telling a story though this is sometimes lost in performances. The chorus has a big role to play here as well as the soloist and Hill elicited performances notable for the sense of drama and narrative vividness. But this was combined with a sense of style and a fine sense of line. 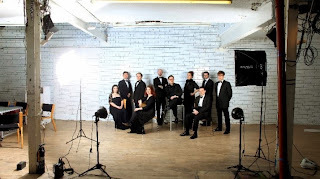 If you live or work in EC1 there is also an LSO Community Choir which performs regularly at the Barbican and LSO St Lukes, with rehearsals taking place on Monday evenings at LSO St. Luke's. There is no audition process but there is currently a waiting list, see the LSO Community Choir web page for details. 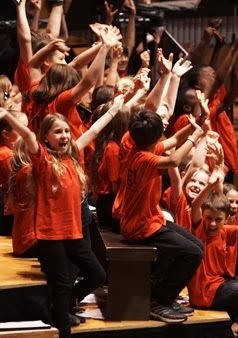 For young people there is the LSO Youth Choir, which is open to young people aged 7 upwards that live or go to school in Hackney, Islington or the City. They also rehears at LSO St Luke's on Mondays. The next LSO Community Choir concert is Friday 22 March 2014 , and the next LSO Youth Choir Concert is Monday 31 March 2014. 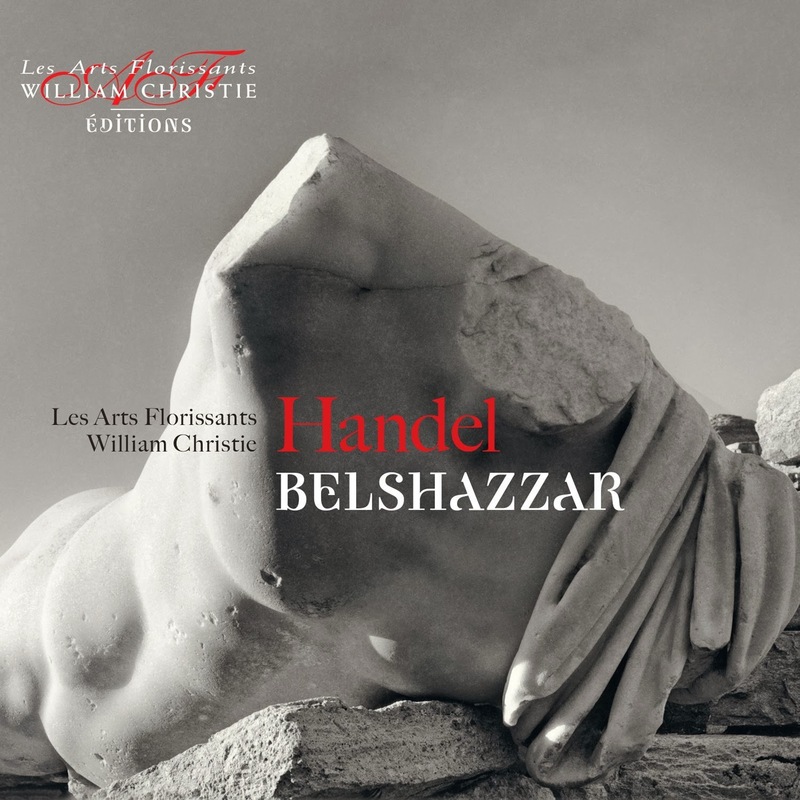 Handel's Belshazzar is one of his strongest dramatic oratorios, setting what was possibly one of the best English oratorio librettos by Charles Jennens. 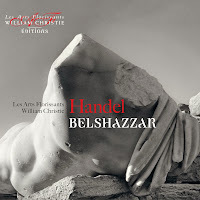 Now William Christie and Les Arts Florissants have chosen the work to launch their new record label. Recorded following a series of live performances last year. 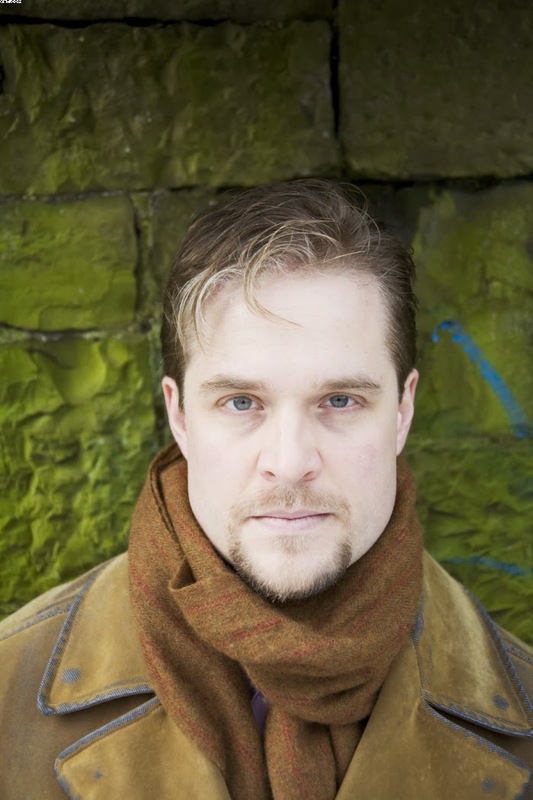 A strong Anglophone cast includes Allan Clayton in the title role, Rosemary Joshua as his mother Nitocris, Caitlin Hulcup as Cyrus, Iestyn Davies as Daniel and Jonathan Lemalu as Gobrias with William Christie conducting Les Arts Florissants. Belshazzar was something of a trial for Handel. He wrote the work in the summer of 1744, and was enthusiastic about Jennens' libretto, but wrote so much that the first act had to be severely retrenched which has perhaps left the act a little uneven in structure. But in this act Jennens gives us some magnificent moments such as the opening scene for Belshazzar's mother Nitocris contemplating the fragile destiny of Empire; Nitocris is almost entirely Jennens creation and by introducing her Jennes adds a far more human face to the drama. Handel's problems did not stop there. For the season of 1744 to 1745 he attempted to put on a far longer subscription series than usual, this failed and he did not give the full number of performances that he planned. To cap it all, when he did perform Belshazzar in 1745 Mrs Cibber was ill which meant that a last minute re-arrangement of parts had to be made. When Handel revived it in 1751 he wrote extra music for the castrato Guadagni who sang the role of Cyrus in the revival, but as was Handel's way he did not necessarily revert to the original planned form. This means that there is a strong likelihood that Nitocris's opening scene was never performed in full during Handel's lifetime. Offenbach's Fantasio is one of his lost operas; now, as part of a project by Opera Rara to recover and record the opera there was a concert performance at the Royal Festival Hall on 15 December, with a cast including Sarah Connolly, Brenda Rae, Russell Braun, Robert Murray, Neal Davies, Victoria Simmonds, Aled Hall and Gavan Ring, and Mark Elder conducted the Orchestra of the Age of Enlightenment and the Opera Rara Chorus. In a brief history of Fantasio Jean-Christophe Keck describes why Fantasio was a flop at the time. Based on Alfred de Musset's 1834 play it appeared to be doomed. Musset himself had fallen out of popular favour and Offenbach’s reputation was affected by the recent Franco-Prussian War (1870-1). A lack of support from the co-director (Camille du Locle) of the Opéra-Comique meant that Fantasio closed after ten performances. Jacques Offenbach (1819-1880) born in Deutz near Cologne studied at the Paris conservatoire (1833-7)1 and began playing cello at the Opéra-Comique (1849-55). During this time he began to write operettas which he called Bouffes Parisienes. Writing over 90 of these during the next 25 years including Orphée aux enfers (1858) and La belle Hélène (1864), his career culminated in the well-known Les contes d'Hoffmann (1877-80) which was produced only after his death. 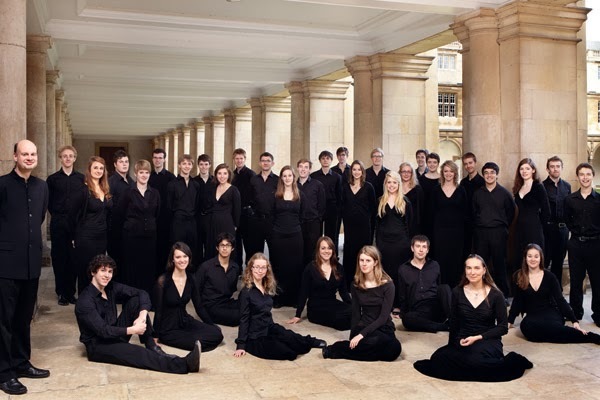 The Tallis Scholars and Peter Philips are coming to the end of their 40th anniversary year and their 98th concert this year was at the Temple Church as part of the Temple Winter Festival on Tuesday 17 December 2013. The concert was broadcast live on BBC Radio 3, introduced by Sarah Mohr-Pietsch. The Tallis Scholars' programme gave us a variety of different composers' approaches to the Magnificat, with settings by Heinrich Schütz, Hieronymous Praetorius and Arvo Pärt along with music by Orlandus Lassus and Hans Leo Hassler. All the music in the first half of the concert was written for double choir, with the 10 singers of the Tallis Scholars dividing into two four-part choirs. They opened with Omnes de Saba Venient by Lassus (c1532 - 1594) written towards the end of Lassus's long life. It started with a bang, and then developed into a beautifully constructed dialogue between the two choirs. The group sang with a fine sense of blend and smoothness of texture, but with a lovely feel for the rhythms in Lassus's work. Julian and Jiaxin Lloyd Webber played a romantic return to the Cadogan Hall stage last night (Wednesday 11 December). Accompanied by John Lenehan the concert was more than pleasant – with not a single note out of place. All three performers were relaxed and genial, chatting to the audience between pieces, swapping instruments, and putting on a show as well as a performance. The choice of music and general atmosphere transferred to the audience who also seemed to be having a good time even though there were many empty seats. Most of the pieces chosen for the performance were originally songs. Webber complained that most two cello music is ‘fodder’ and explained that the idea for this concert had come from his 2012 CD produced to celebrate the death of John Ireland (1879 - 1962) - on which John Lenehan also plays. 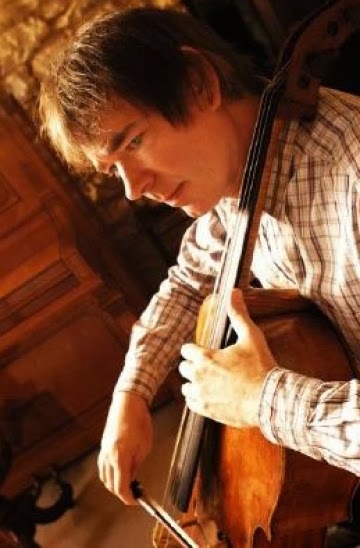 Webber believes that the sound of a cello is the closet to the human voice and as such is the perfect medium for exploring vocal music in an instrumental setting. Two of the songs on the 2012 album were ‘virtually unknown’ two part songs by Ireland re-set for two cello and piano. From there he and Jiaxin researched and explored other songs and music which could be re-invented for trio. The set consisted of a dark wooden box with a false perspective. Screens could cut off the box at various points and the rear opened to reveal a landscape of bare trees. Trees, huge bare and black, formed the centrepiece of one of the screens which could slide into place. The production never passed out of the convent or the prison. The chorus (la foule) were always off-stage and the functionaries of the revolution (Jeremy Duffau, Yuri Kissin and Mathieu Lecroart) did many of their scenes from the auditorium. The scene between Mere Marie (Sophie Koch) and the Father Confessor (Francois Piolino) took place in the auditorium and Koch's Mere Marie watched the final action from there, unable to participate. The setting was roughly 1930, costumes had a timeless elegance but with enough hints of period (for example the shortness of Blanche's skirt, the style of Mere Marie's hat in the final scenes and the military cut of the revolutionaries' greatcoats). The nuns habits were simple, but very elegantly cut. Handel's period writing operas for the Royal Academy in London in the 1720's did not see him as the solo star composer of opera, he was joined by other composers deliberately recruited by the directors to provide London with a range of operas. So that alongside operas by Handel, Londoners heard operas by Giovanni Bononcini (1670 - 1747) and Attilio Ariosti (1666 - 1729). Whilst Handel's younger contemporary Hasse has come in for something of a revival recently, the operas of Bononcini and Ariosti seem to languish. In a concert at St Leonard's Church, Shoreditch, on Friday 13 Decemer 2013 as part of the Spitalfields Music Winter Festival, counter tenor Lawrence Zazzo sought to rectify this by performing a programme of arias from operas by Handel, Bononcini and Ariosti from the 1720's, accompanied by La Nuova Musica directed by David Bates. The orchestra also played orchestral music from operas by Handel and Ariosto, as well as Corelli's Christmas Concerto. 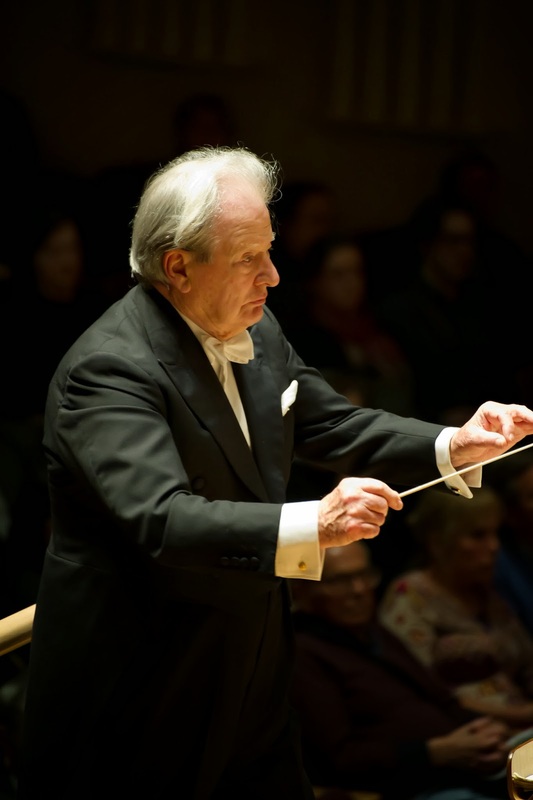 In April 2014 Sir Neville Marriner is 90. Founder and Life President of the Academy of St Martin in the Fields (ASMF), a celebration of the conductor's birthday is a feature of ASMF's season next year. Still highly active as a conductor, Marriner will be conducting ASMF in a number of celebratory concerts starting with a birthday concert at the Royal Festival Hall on 1 April 2014. On 1 April 2014 Marriner and the orchestra will be joined by the group's current artistic director, violinist Joshua Bell, for a performance of RVW's The Lark Ascending in programme which includes Mozart's Piano Concerto No. 20 with Murray Perahia (who is ASMF's principal guest conductor). Then on 20 May 2014 Marriner conducts the orchestra in a concert at St Martin in the Fields which includes Mozart's overture to The Marriage of Figaro and Symphony No. 24 plus RVW's Fantasia on a Theme of Thomas Tallis. 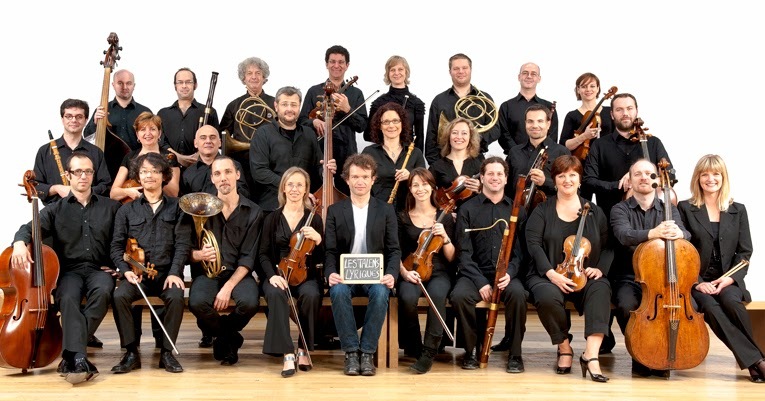 The orchestra's celebratory season also includes concerts in Hamburg, Hanover and Munich. 40 years to the day, the members of the Hilliard Ensemble celebrated their first ever concert with another concert, on Wednesday 11 December 2013 this time at St Leonard's Church, Shoreditch as part of the Shoreditch Winter Festival. For the concert the four current members of the Hilliard Ensemble (David James, Steven Harrold, Rogers Covey-Crump and Gordon Jones) were joined by four former members (Paul Elliott, John Nixon, John Potter and Errol Girdlestone) for a concert celebrating the ensemble's 40 year history. 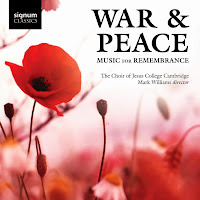 This new disc from the choir of Jesus College, Cambridge is entitled War and Peace: Music for Remembrance, with a selection of 19th and 20th century music, predominantly but not exclusively British, which reflects the theme of the fallen. Starting with Parry, there is music by Charles Wood, James MacMillan, John Ireland, Mark Blatchly, George Thalben-Ball, Matthew Martin, Geraint Lewis, William H Harris, Douglas Guest and RVW, plus Arvo Part, Johannes Brahms and Kirill Stetsenko. 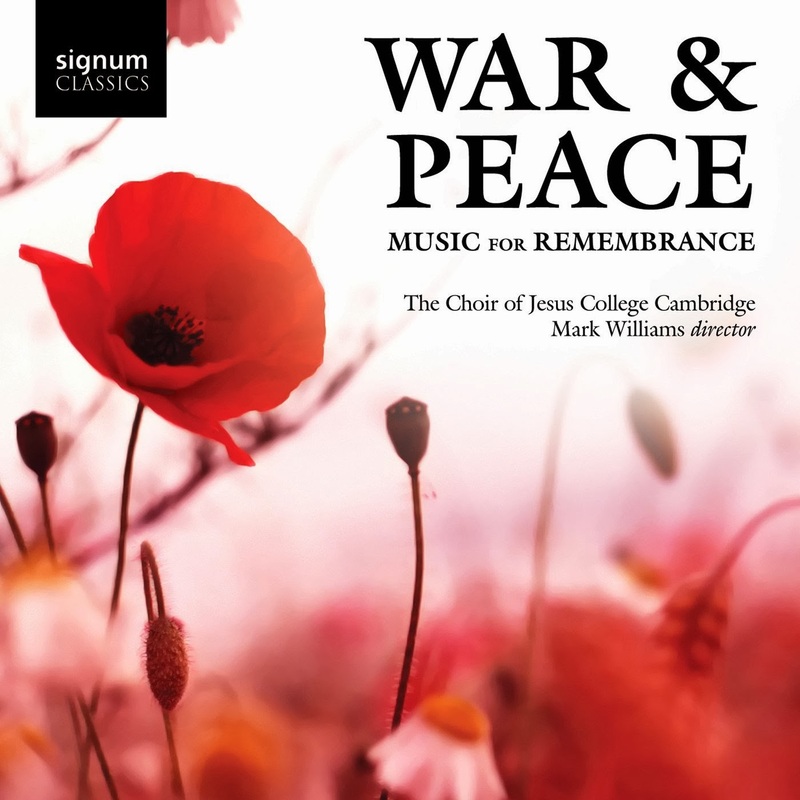 What is interesting about the performers is that though billed as the choir of Jesus College, Cambridge directed by Mark Williams, we get two choirs for the price of one. 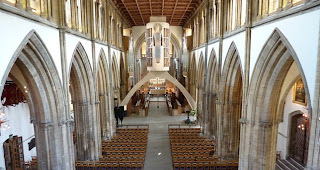 There is the chapel choir, which is all male with trebles on the top line, and the college choir which is mixed, but the adult males are common to both choirs. On this disc both choirs perform and sometimes we get the combined choirs. 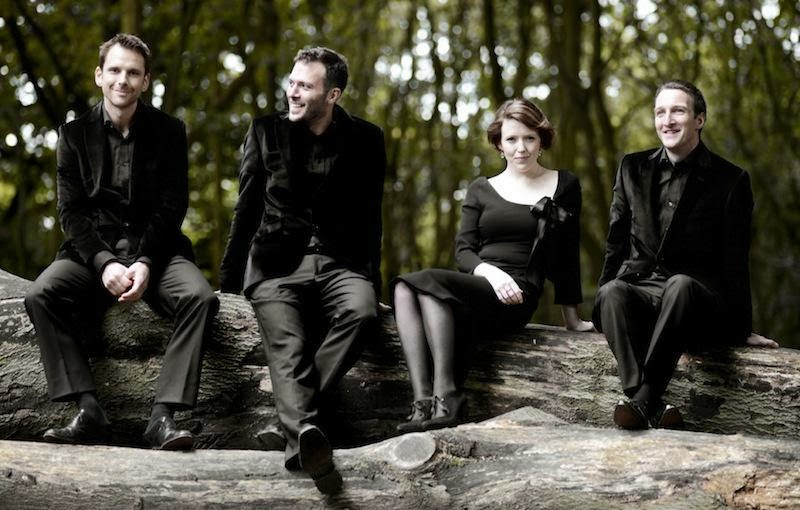 They are joined by organists Robert Dixon and Benjamin Morris and trumpeter Rebecca Crawshaw. 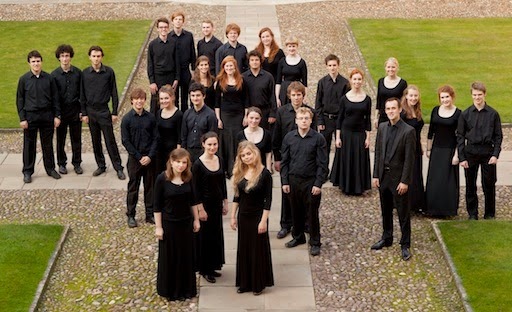 Combining boys and women in the same choir is perhaps not obvious, but the boy trebles of Jesus College choir make a fine soft-grained sound (definitely not continental) whilst the young women in the sopranos have a nice light, clear bright sound. The result, in the opening item Parry's Crossing the Bar sung by the combined choirs, is a lovely light, bright clear sound; youthful with a lovely transparency. We get to hear the warmly attractive sound of the mixed voice College Choir in the next item, Charles Wood's Nunc Dimittis. Wood was a pupil of Parry's and became an important teacher (his pupils including RVW). Though he made several English setting of the Nunc Dimittis this version is for unaccompanied choir setting the Latin words and was commissioned for Westminster Cathedral Choir in 1916. It is a lovely richly textured piece, and the choir give a lovely vibrant but steady performance with nice interaction between the upper and lower voices. 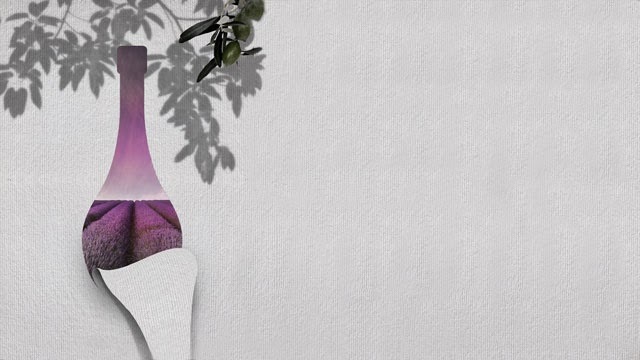 This week the Royal Northern College of Music is presenting Donizetti's L'Elisir d'Amore in the RNCM Theatre with Francesco Pasqualetti conducting the RNCM Opera Orchestra and Chorus. Pasqualetti studied with Sir Colin Davies and Gianandrea Noseda. 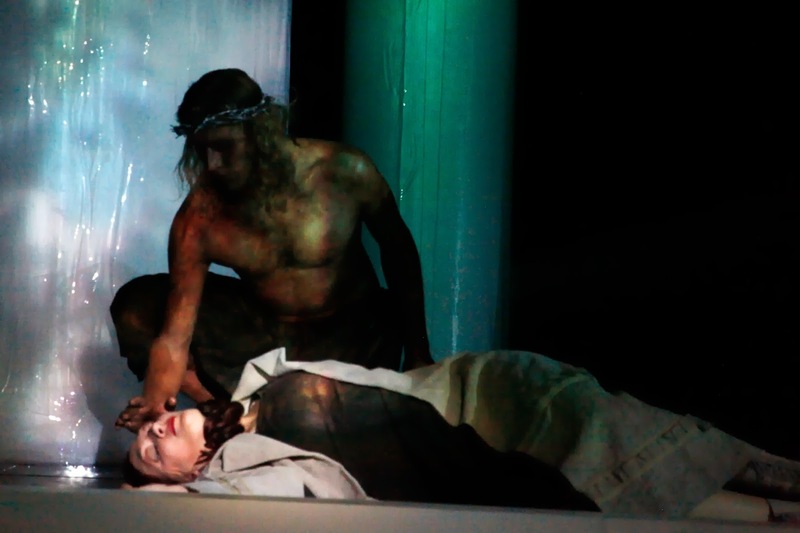 The role of Adina is sung by 23 year old New Zealand soprano Bryony Williams with Nemorino by Chinese tenor Kang Wang. 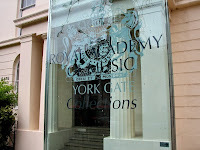 Both singer are currently studying for an RNCM International Artist Diploma. 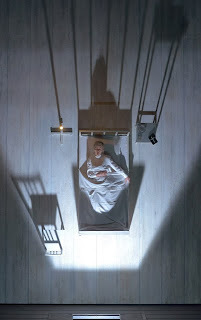 The opera is directed by the RNCM's Head of opera Stefan Janski and designed by Lara Booth. There are performances 10, 12, 14 December, the performance on Thursday 12 December is conducted by Marco Bellasi, the RNCM's Junior Fellow in Conducting. Further information from the RNCM website. 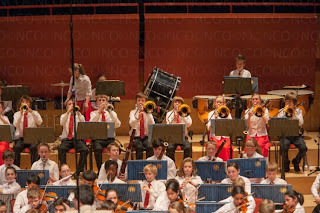 The National Children's Orchestras of Great Britain (NCO) celebrated its 35th birthday this year and the final event of their season was a concert at the Royal Festival Hall on 8 December 2013 by the Main Orchestra, conducted by Peter Stark, and the Under 13 Orchestra conducted by Roger Clarkson, Principal Director of Music. 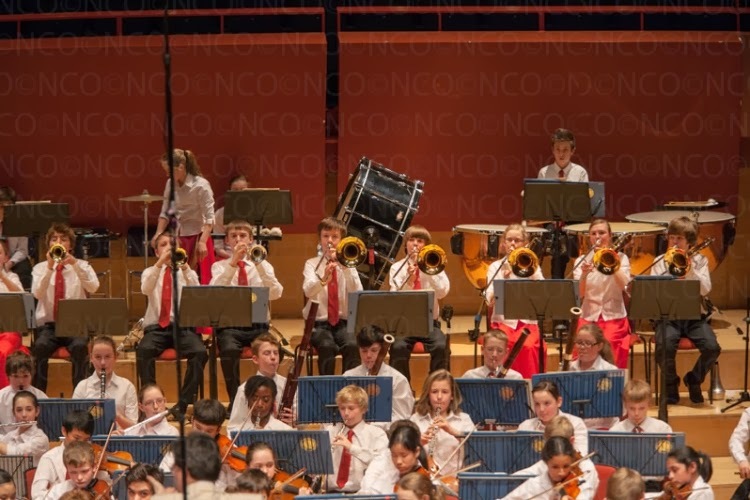 The NCO offers talented children aged 7 to 13 opportunities for training and performance in a network of regional orchestras, with the two orchestra performing at the Festival Hall being the national showcases. In the Under 13 Orchestra all players were under 13 with the youngest being 11, in the Main Orchestra all players were aged 14. Both orchestras were huge, over 110 players each. Which means in both halves of the concert (the Under 13 Orchestra played the first half, the Main Orchestra the second), the platform was full to bursting with young musicians. They all wear a uniform, the boys in white shirts, black trousers and red tie, the girls in white shirt, long red skirt and hair held back with matching red ribbons. Truth be told, the skirt was rather unflattering, but the sea of bright red certainly indicated how many young women there were on the platform. At the beginning of each half, as the young players walked onto the platform, the auditorium erupted in cheering and whistling. 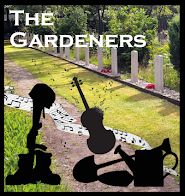 Both groups impressed with the confidence and seriousness of their demeanour on the concert platform, the confidence with which they undertook solos, and they way that the strings functioned smoothly as a single unit. You had to keep reminding yourself how young these players were. 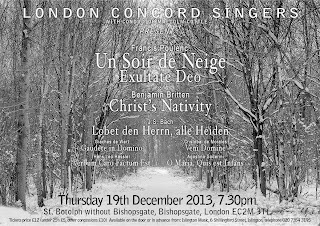 Having explored ancient and modern settings of the same texts in their previous Christmas concert, Alistair Dixon and Chapelle du Roi returned to their core repertoire for their 2013 Christmas concert. Christmas at the Chapel Royal at St John's Smith Square on 7 December 2013 saw the group performing Thomas Tallis's Missa Puer Natus Est Nobis as the centre piece of the concert. 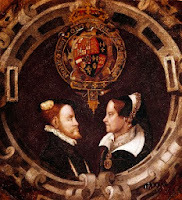 Based on the Christmas plainchant, Puer Natus Est Nobis (A boy is born to us), the mass referred not only to the nativity of Christ but to the possibility that the newly married Queen Mary I (Mary Tudor) was pregnant. The ensemble surrounded the mass with music by Tallis and his contemporaries, William Mundy, John Sheppard and William Byrd, many of the pieces with Christmas links. The concert started with the group off stage, the men singing the chant Puer Natus est Nobis (the introit for the third mass for Christmas) which lead straight into the Gloria from Tallis's Missa Puer Natus Est Nobis. This survives incomplete and it was only after musicological research in the 1960's that the Gloria restored to a performable state (the Credo is still in fragmentary form). Musicologists can be reasonable certain that Tallis wrote the mass for Christmas 1554, because its unusual seven part layout (SSAATBB, with the tenors singing the cantus firmus based on the chant) and the rather narrow compass of the vocal parts suggests the participation of the Spanish chapel choir which had travelled to England with Prince Philip of Spain (Queen Mary's husband) and participated in Chapel Royal services (the Spanish chapel choir did not use high treble parts the way that the English did). Christophe Rousset and Les Talens Lyriques returned to the Wigmore Hall on Friday 6 December for a concert which looked at the rivalry between the French and Italian musical styles in the late 17th and early 18th century. They performed Francois Couperin's Sonata from Premier Ordre: La Francoise from Les Nations, L'Apotheose de Corelli and the Apotheosis of Lully which concludes with the trio sonata La paix du Parnasse. Alongside these we had some of Lully's Trios pour le coucher du roi and Corelli's Trio Sonata in G op.2 No.12 'Ciaccona'. Directed from the harpsichord by Rousset, Les Talens Lyriques consisted of Gilone Gaubert-Jacques and Gabriel Grosbard (violins), Jocelyn Daubigney and Stefanie Troffaes (flutes) Emmanuel Laporte and Jean-Marc Philippe (oboes), Catherin Pepin (bassoon), Laura-Monica Pustilnik (lute) and Francois Joubert-Caillet (viola da gamba). The music was all cast in trio sonata form, with the continuo selected from harpsichord, lute, viola da gamba and bassoon, with the upper two lines selected from the other instruments often in pairs and doubled in the larger scale sections. The result was to create a fascinating selection of textures and sounds. Wagner's Parsifal received its premiere in China in October this year in a production at the 16th Beijing Music Festival. A co-production with the Salzburg Easter Festival where Michael Schulz's production was seen in March this year. In connection with the production, the KT Wong Foundation has released a series on YouTube called The Wagner Interviews. These celebrate Wagner's final opera, in a series of interviews with distinguished singers including Dame Anne Evans, Waltraud Meier, Sir John Tomlinson, and Stuart Skelton, conductors Mark Wigglesworth and Daniele Gatti, director Robert Carsen, along with Simon Callow, Stephen Johnson, David Nice composers Guo Wenjing and Zhou Long and designer Richard Peduzzi who designed the Patrice Chereau Ring at Bayreuth. 21st January: Professor Richard Wistreich on Monteverdi and the Birth of Opera. 4th February: Professor Jean-Philippe Calvin on Lully – Music for the Sun King. 11th February: Mel Cooper on Handel and Purcell. 4th March: Norbert Meyn on Mozart – A study of two operas. 11th March: Matthew Taylor on Fidelio. 18th March Nelly Miricioiu on Bel Canto. Opera appreciation classes tend to be somewhat dry and fail to reflect the vibrancy and passion of the art form so Masterclass & Co. was formed to develop a new type of opera connoisseurship course. The team present academically sound lectures along with live demonstrations by opera singers in collaboration with the Royal Northern College of Music. Their study days at Cadogan Hall were successfully launched in 2012 and return next year with days devoted to Rossini (on 27 February) and Donizetti (on 3 March). 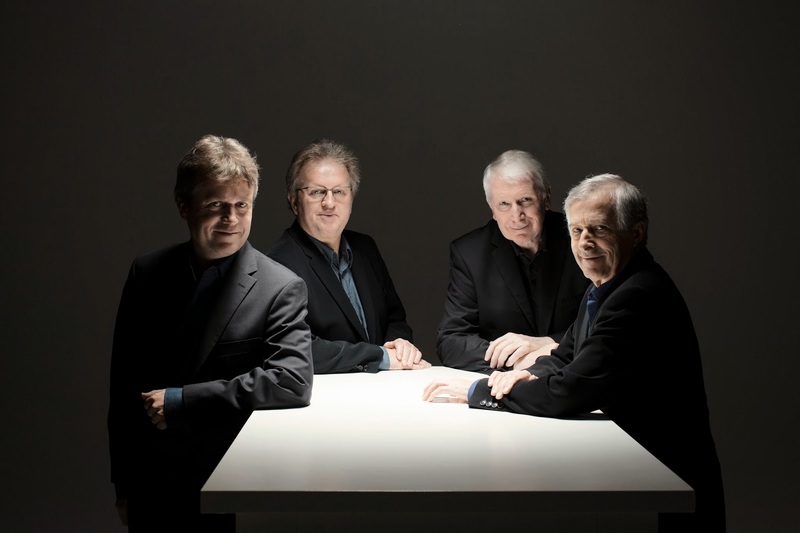 One of a series of concerts at the Wigmore Hall celebrating Michael Tippet’s work - these four works were all written close to the start of Tippett’s long compositional life. Unlike Britten, Tippett took time to become confident in his work and the earliest of his surviving compositions date from the late 1930’s. In 1943, during the Second World War, Tippett was imprisoned for two months for failure to comply with the conditions of his exemption of service due to conscientious objection. Nevertheless compositionally this was an important period in his life. He was promoted, from conductor of the South London Orchestra for unemployed musicians, to become the musical director of Morley College in 1940 and stayed there until 1951. At Morley College not only did Tippett meet Benjamin Britten and Peter Pears, but the college became a musical refuge for musicians and composers escaping Nazi occupied Europe. Tippett embraced the musical talents surrounding him and the influence of this and of the war can be felt in his work. 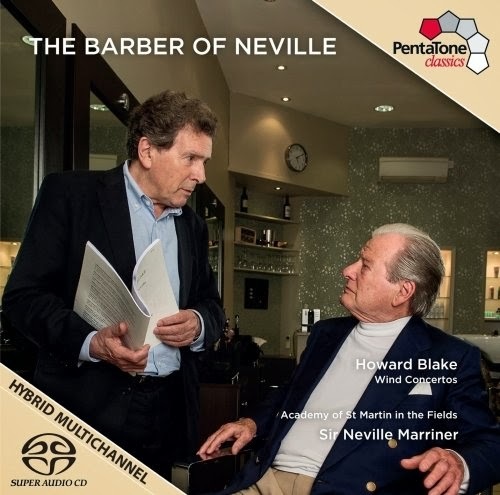 This new disc showcases wind concertos written by Howard Blake, but it also acts as an advanced celebration of Sir Neville Marriner's 90th birthday. 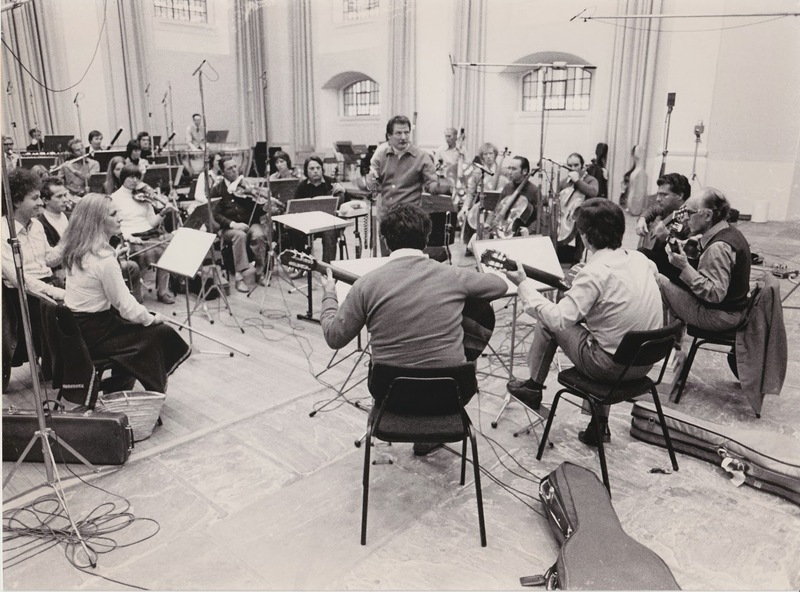 Conducting the Academy of St Martin in the Fields, the ensemble he founded in 1959. On this disc they perform Blake's Flute Concerto, with Jamie Martin, Clarinet Concerto with Andrew Marriner, Bassoon Concerto with Gustavo Nunez and Serenade for Wind Octet. The title of the album refers to the circumstances which brought the recording about. Without being award of it Howard Blake, Sir Neville Marriner and his son Andrew all frequented the same hair dresser and it was through his good offices that they met and planned the programme. Blake's Flute Concerto was written in 1996 and is for flute and string orchestra. In a very striking opening the flute sings over tremolando strings, with some lovely melodic writing for the flute. As the strings take over the musical theme the flute provides elaborate decorations. The scherzo (marked con spirito) is crisp and lively with, like much of the concerto, a neo-baroque feel. The movement has a lovely slow middle section, almost a cadenza and a rather perky coda. The Andante espressivo is a beautifully poised slow movement, the flute decorating the melody in a series of variations with a cadenza leading to the fourth movement, Marcia graziosi. This is a lively piece with a fluently personable theme. A cadenza leads into an atmospheric reminiscence of the opening. 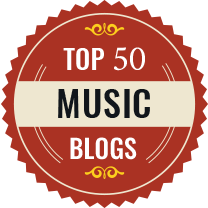 Welcome to our monthly round up, a busy November which took in Gesualdo, Gallay, Gabrieli and Goss, and lots more. The Brighton Early Music Festival (BREMF) took us to Ferrara for Passion and the Princess, to Venosa for Clare Norburn's play about Gesualdo, Breaking the Rules and brought us Profane Deliriums from Portugal and Brazil. They finished in Leipzig with Bach's St John Passion. The choir of the Royal Hospital, Chelsea brought us another choral masterpiece, Handel's Israel in Egypt, the Sixteen performed early Tudor sacred music in the Temple Church and Stile Antico celebrated the centenary of the Carnegie UK Trust with their programme of Tudor church music, Phoenix Rising, at the Cadogan Hall. The Temple Singers and the Holst Singers joined the Aurora Orchestra under Roger Sayer for an all Britten programme at Temple Church. Dust off the tinsel, it’s heading towards the longest night, and Edition Peters were hot off the sleigh-race starting block with their annual Christmas concert on Monday night (2 December). 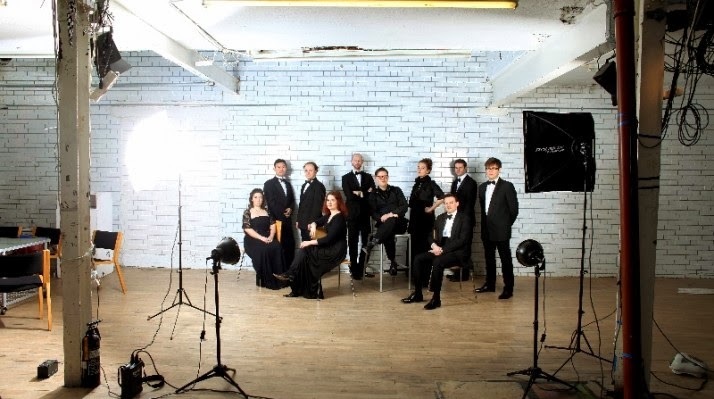 Entitled ‘The Candles Glow’, to match the content and the festive decoration of St Bartholomew the Great, this concert was a showcase for composers and performers from the Edition Peters stable. The church was packed out. Practically all the composers were present (we can perhaps forgive Bach his absence) along with their family and friends, and those of the performers, as well as the staff of Edition Peters and Edition Peters Artist Management (EPAM), giving this concert a homely feel. Voces8 opened the evening auspiciously with a favourite of mine: ‘O Magnum Mysterium’ by Morten Lauridsen (1943-). From my seat I could not see them and am not sure if they were in a side chapel or balcony near the back of the church. Wherever they were, their voices filled the church with Lauridsen’s beautiful, drawn out harmonies.